This is an excerpt from Caledonian Dreaming by author and political analyst Gerry Hassan. 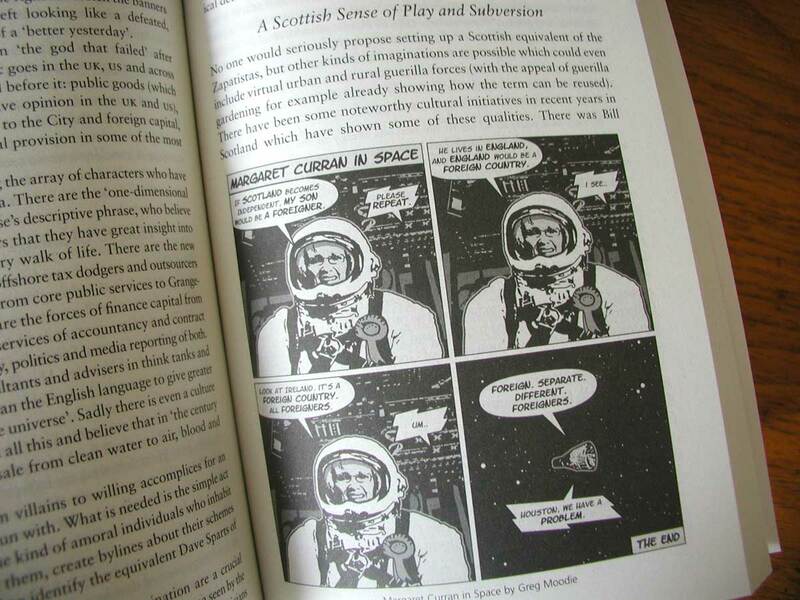 In a section titled A Scottish Sense of Play and Subversion, he features my Margaret Curran in Space cartoon. 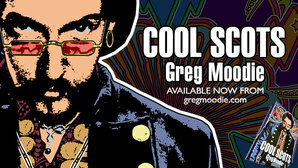 He also mentions Rose Garnett and I, as well as National Collective and BBC Scotlandshire. I was delighted, as play and subversion are my two favourite pastimes. 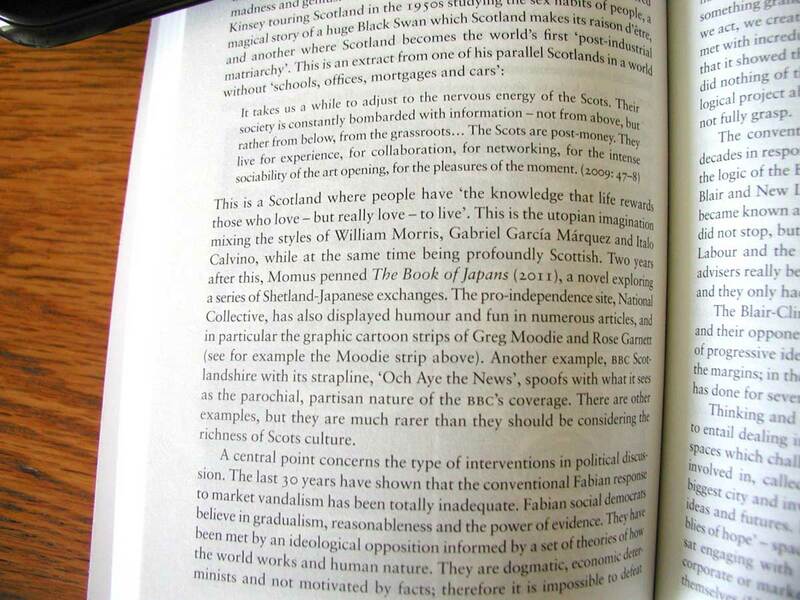 An excerpt from Caledonian Dreaming by author and political analyst Gerry Hassan.